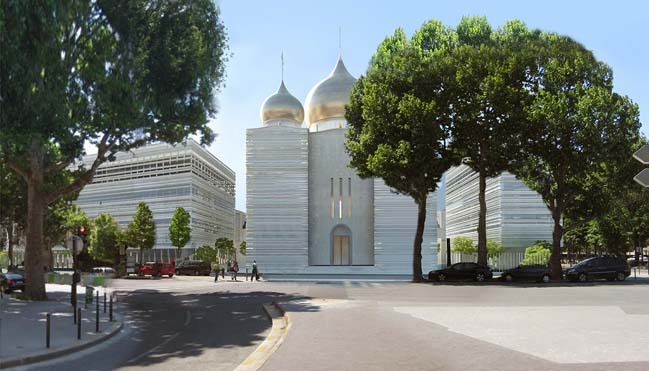 Designed by Wilmotte & Associés, the project is composed with an orthodox Cathedral, a parish center, a primary school and cultural center that was built near the Eiffel Tower in Paris, France. 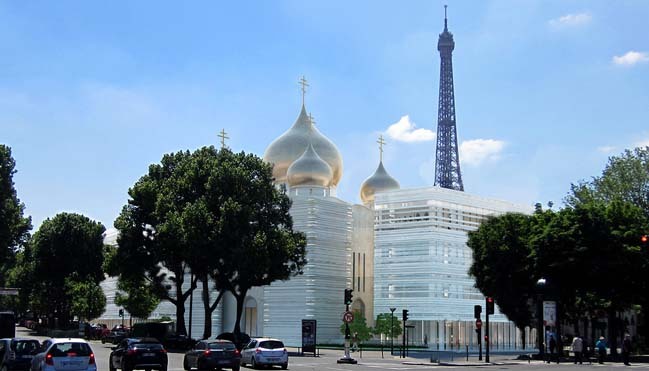 Project's description: Previously occupied by the old headquarters of Meteo France, the site of the Russian Orthodox Spiritual and Cultural Center is both in immediate proximity of numerous highly frequented Parisian touristic sites and adjacent to the Seine’s river banks. 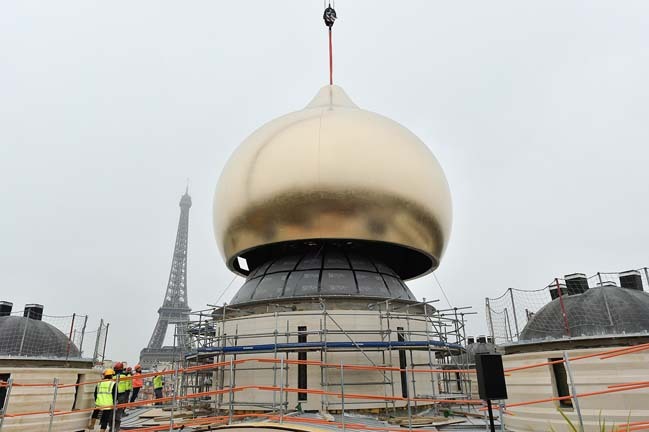 The project will be neighboring the Palais de l’Alma and built near the Eiffel Tower, the Quai Branly museum, the Invalides Esplanade, the Grand Palais and the Modern Art museum. 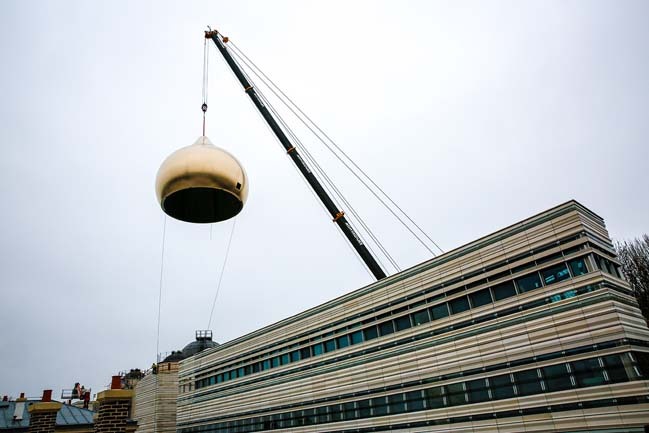 The site is listed at the Unesco World Heritage and is currently occupied by the old administrative buildings of the French National Meteorological Service principally built in 1948. The project program is composed of 4 distinct identities, which persist to mark their singular individualities and also constitute a harmonious collection whereby the buildings both resonate closely with each other and with their immediate environment. •A Parish Center (Building Rue Rapp) comprised with an auditorium and its foyer, offices and furnished function apartments. •A school (building rue de l’Université) comprised with classrooms, workshops, an infirmary, a canteen, living quarters, and a courtyard. •A Cultural Center (Building Quai Branly) comprised with a book shop, exhibitions spaces and a coffee shop. 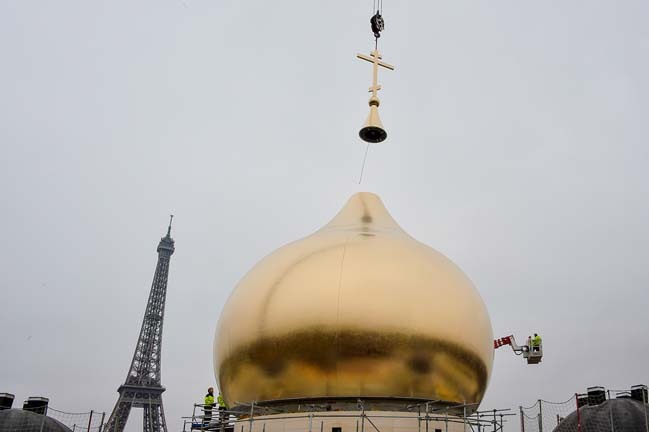 The entire project, including the church, is emblematic by which its spearheads towards a new cultural identity in Paris. The architectural language searches to establish diversity and radiance. The pure and minimal design of the church is translated and impacted onto the adjacent buildings permitting itself to be the crucial and pivotal role of the collection. 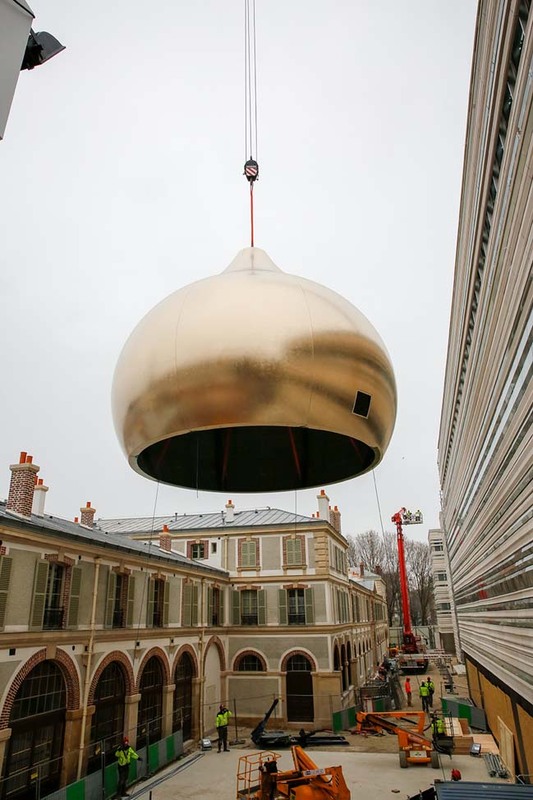 The domes, 5 in total, are coated with a matt gold finish and are traditionally shaped. 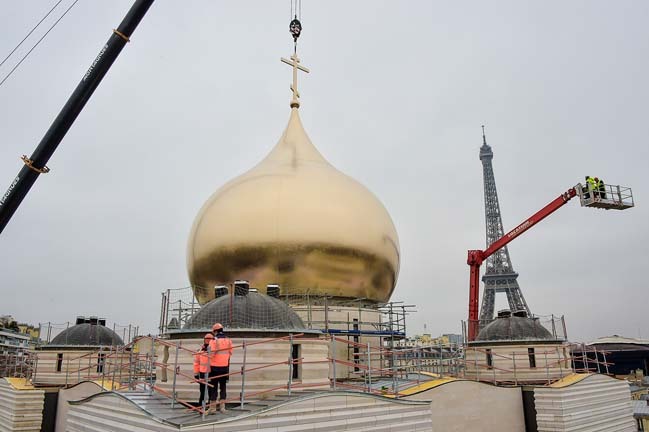 Capped with Russian orthodox crosses, they intervene as a skyline landmark within the Parisian built environment. Within this pure state of mind, the buildings’ lifespans and harmonious integration, the materials used are noble: Bourgogne stone, class and timber dress simple and mastered volumes. 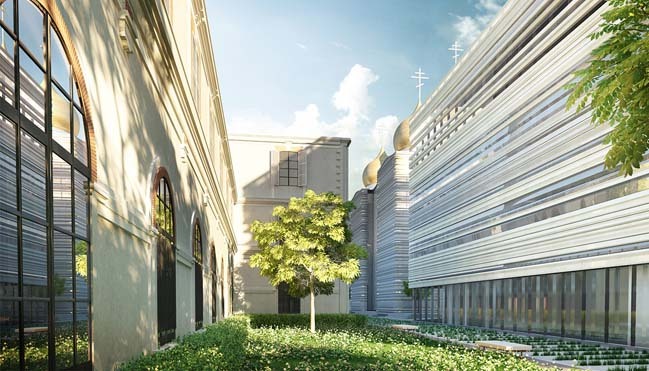 In identical height and materiality, the Branly, Rapp and Université buildings create a united architectural assemblage surrounding the church, permitting this spectacular building to formulate its particularity and structural aesthetic. The project inscribes itself in a sustainable approach with an objective to be HQE certified.